It’s the middle of winter so there’s a good chance if you live where it snows, then you’ve had the pleasure of driving through the white stuff. It’s not fun, but there are things that make the chore easier. All-wheel drive is often at the top of everyone’s list if they live where it snows, which is good, but what about your tires? The right set of tires makes all the difference, which is why you should be driving with winter tires. All-season tires are what must people run on all year long. The name makes you think they’re the perfect choice whether it’s a sweltering 90 degrees or somewhere in the single digits. 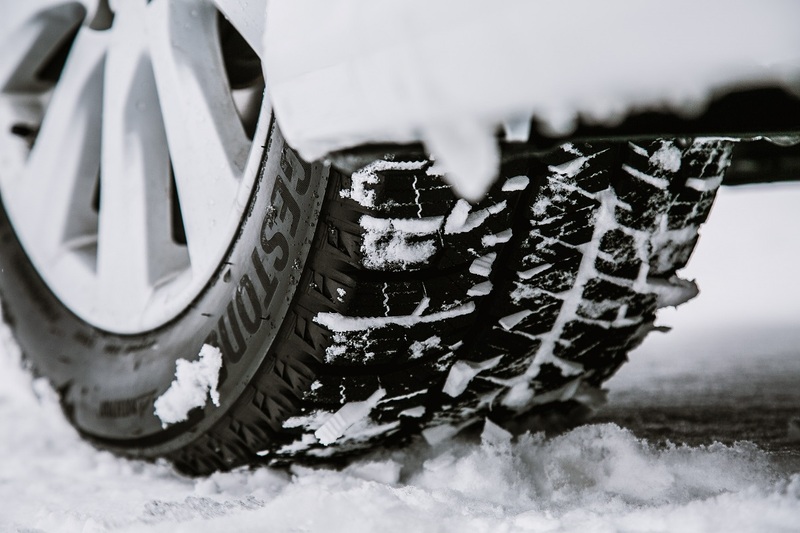 While all-seasons can do the job in all conditions, winter tires do it better in the winter. 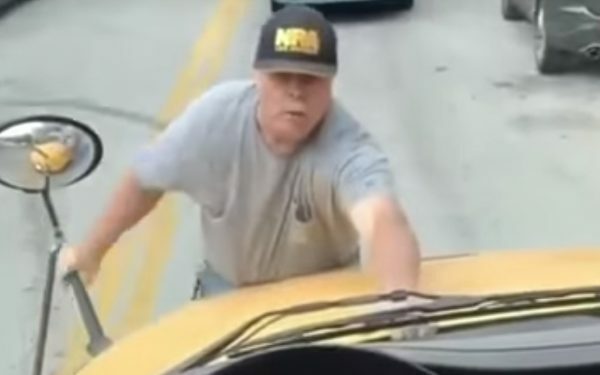 First, you need to know a little about tires in general. They look like big, boring circles of black rubber that are all the same. They have treads on them to help you grip the road and they roll along happily doing their thankless jobs. But the treads on winter tires are different. All those little cuts in the rubber are designed specifically for handling winter weather and that includes snow. If you’ve ever built a snowman, then you know that snow likes to stick to snow. That’s why your roll all those snowman parts across the lawn to build your masterpiece. A winter tire has treads that hold the snow, so as the snowy tire rolls it sticks to a snow-covered road. That gives you better grip – something you desperately want when the roads are snowy. When it’s water on the roads, that same tread helps wick away the water so the tire keeps contact with the pavement. Although your tire is big, the contact patch, which is the section of tire that touches the road at any given moment, is quite small. Take a piece of 8.5 x 11.0 paper, fold it in half, then fold it in half again. That’s roughly the size of the contact patch. It’s a pretty small section of tire, so making sure it can grip is key to keeping you in control. While a winter tire is optimized for providing grip in snowy, cold weather, an all-season tire needs to compromise. It has to work in all kinds of weather, so it doesn’t excel in any one situation. 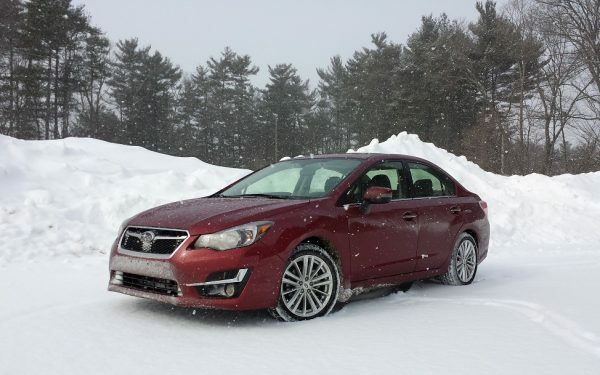 If you want the best traction possible in the winter, then get a winter tire. You can’t see the difference in various rubber composites, but it’s there and it’s important. An all-season tire maintains a more consistent level of flexibility whether it’s cold or hot. However, when it gets cold it gets stiff. As a tire loses its flexibility in cold weather, it doesn’t stick to the road as well. 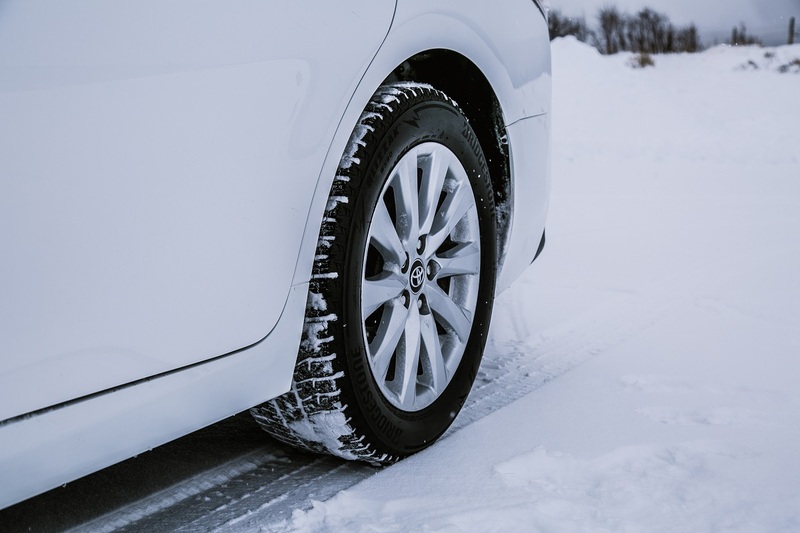 Winter tires are made of specific rubber composites that are designed to stay flexible even when temperatures drop. Once again, this helps that contact patch keep its grip on the road and better grip means better control for you. 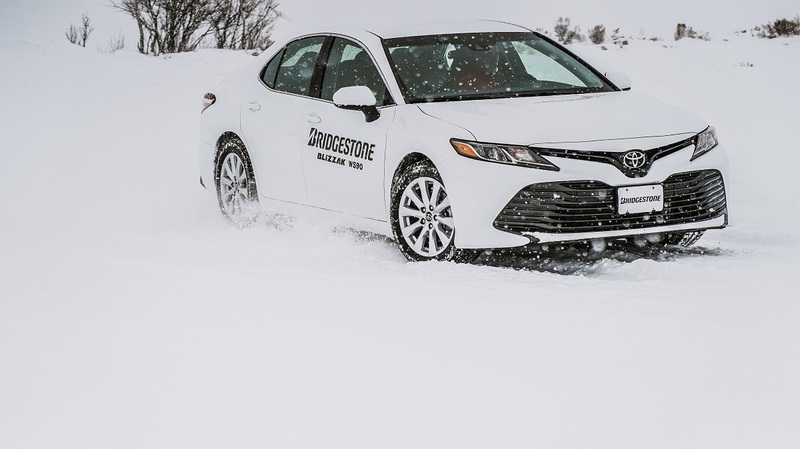 We spent some time with Bridgestone testing winter tires to see if they really do make a difference. First, they set us up on an ice rink to compare stopping distances between competitive brands to see if all winter tires are created equal. Bridgestone makes Blizzak winter tires and this year they’re introducing the new WS90 with an improved stopping distance. While any winter tire is better when temperatures reach 40 degrees, the Blizzaks did better than competitive brands in our testing. They stopped more quickly and provided more control with less of a need to fight the wheel to keep the car straight when we jammed on the brakes. 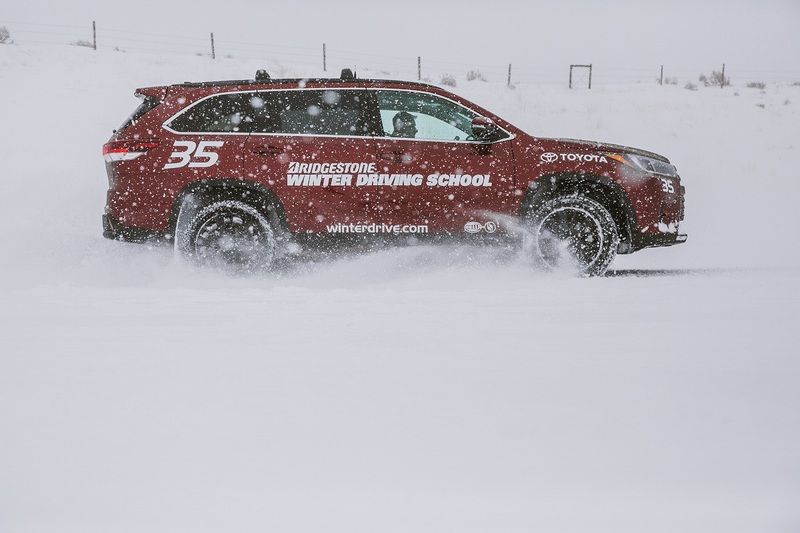 Our next test involved heading out to the Bridgestone Winter Driving School. Anyone can sign up for classes and we highly recommend you go if you have the chance. Conditions were so wintery we almost had to cancel the drive. Over a foot of fresh snow and gusty winds made it more of a winter tire test than Bridgestone expected. The course included the chance to recover from oversteer and understeer scenarios as well as the opportunity to drive up and down steep hills and through sharp turns. And since this was a closed course, we did all this a bit more aggressively than you’d likely try in the real world. 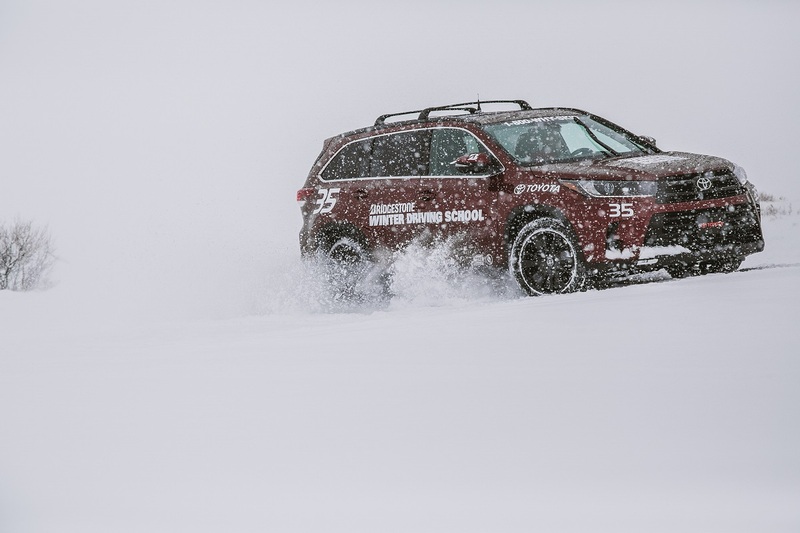 The Blizzak WS90 tires again proved their worth providing better control and smoother recovery than competitors. Compared to the all-season tires, the difference was startling. If you think you’re just fine with all-season tires, you’re wrong. Winter tires are the best tires for winter weather. They provide better traction and better control than all-season tires and could mean the difference between stopping short of another car, or paying for that car’s new bumper. 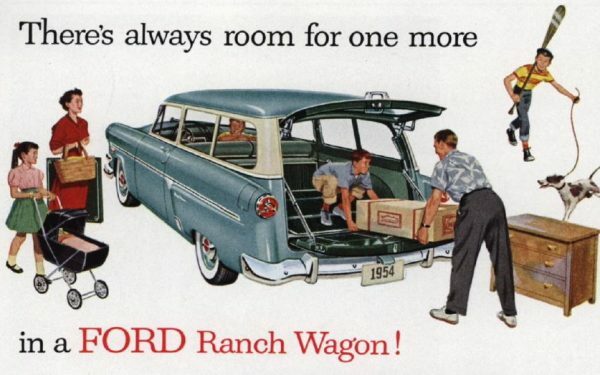 Father’s Day: What Did Your Dad Drive?